We lost one of our girls today. It came as a bit of a shock. I had just checked the coop not 3 hours before Ray discovered her little body. I believe it was Mildred, but I cannot be sure. It saddens me. I’ve grown attached to my girls. I’ve enjoyed chatting with them a few times a day and taking them treats. It’s fun to watch them strut and cluck. It’s amusing to see them fight over a juicy grub. We aren’t sure how she died. It may have been the heat. It may have just been her time. Either way, she will be missed. 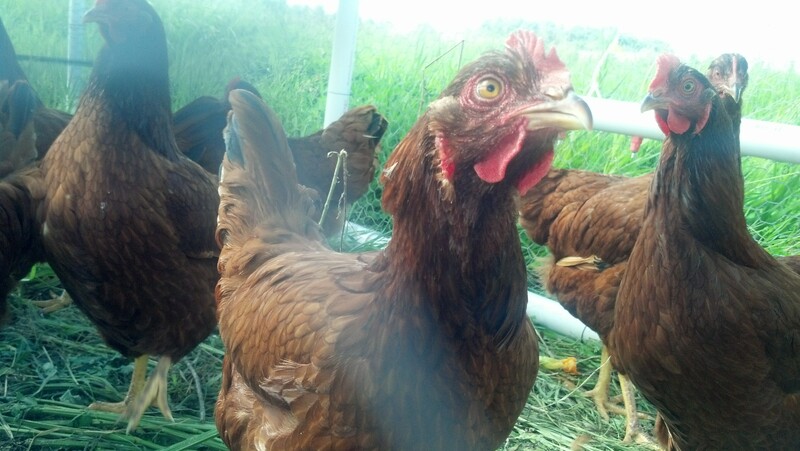 This entry was posted in Chickens!, Life, Writing. Bookmark the permalink.